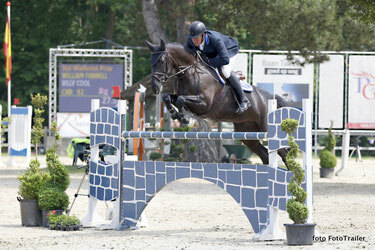 Two speed riders in the top of the ranking in the 1.35m Stal Wiefferink Prize today! William Funnell from Great Britan was even faster than Doron Kuipers, who won the Six Bar over 2.00m height yesterday evening. William rode the mare Billy Cool (Billy Congo x Kannan), while Doron finished 2nd with the well-known Zinius (Nabab de Reve).